After providing the technology world with a potential treat earlier this month with the debut of Windows 7, Microsoft closed out the month with a pretty slick trick for their Office Accounting users. According to an e-mail that I got early Friday morning, Microsoft will be discontinuing their Office Accounting product on November 16th of the coming month. This only gives many OA 2009 customers a few days to move their files to another small business accounting software title and that can be quite an expensive and labor intensive task. For me, however I can’t say that I did not see the writing on the wall especially since they stopped selling their MS Money product earlier this year. Microsoft will still offer support for their product as per the support guide lines in their policy. Add on services that came along with Office Accounting (EBay, Equifax credit profile, tax mappings, and online banking) will be discontinued by December 15th, 2009. For many small business owners this change could be an indication that the time to look into another way of performing your accounting function is in order. 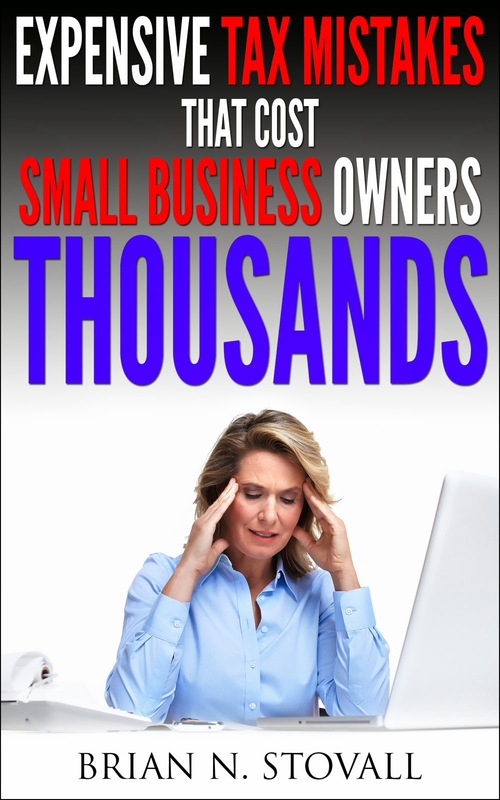 There are other small businesses off the shelf software titles that can be used; however there is still the issue of yearly upgrades, costly “advisors” to help you setup the software, and the risk of downtime during the transition and bug fixes. Another option would be to use an online-based, on-demand accounting system that works collaboratively with your accountant. Either way, if you are a small business that uses Microsoft’s Office Accounting product your days are limited. Happy Halloween!! Recently I did a post announcing the newest release of QuickBooks 2010 and according to a news article I came across today, this may be a good time to upgrade your software if you have not done so already. According to the article there is a security issue with older version of QuickBooks (2006 and Enterprise 6.0) that is related to Microsoft’s Active X technology. According to Intuit, the makers of QuickBooks, the security issue has been fixed (even though older versions of QB’s are not supported by Intuit) and the 2010 product has been updated also. Kind of makes a person wonder if there is a better way of keeping your small business books? If there are security problems with off the shelf software, I wonder if using an on-demand internet based accounting solution would be more efficient. With an on-demand accounting solution gone are the days of upgrading your software every year (or three years) because the software maker no longer supports your version, gone are the countless software updates that have to be completed so that your software can operate efficiently. Also gone are the days of working around your accountant’s schedule so that they can make their adjustments to your books and then send them back to you. An on-demand solution may be in your future if you are ready to make the change to the newest technology available with possibly a lower cost of ownership. Be sure to find out the pros and cons of the new technology for yourself with the following article. Enjoy. As we continue down the road toward recession or recovery (depending on one’s point of view), there still continues to be a great deal of people who are having problems paying off their debts. Whether it is a house, car, or some other type of property, the process of paying off one’s debts can become quite stressful especially in a cash strapped economy like the one today. From a tax standpoint, the cancellation of a debt can become a bit tricky, but hopefully after reading this post, you will have a little more insight into how the process works. According to the IRS via Publication 4681, a debt can include any indebtedness for which you are liable or which is attached to property that you hold. In regards to property, cancellation of debt occurs when foreclosure proceeding occurs on the property, the property is repossessed, the property is returned to the lender, or you abandon the property. When debt is canceled by a federal agency or a financial institution amounting to more than $600, you will receive a Form 1099-C showing the amount for the cancelation in Box 2. Typically the amount is taxable as income. There are additional exceptions and exclusions of debt that would not be taxable, the most major one being the exclusion for principal residence indebtedness. Taxpayers can now exclude up to $2 million in qualified personal residence indebtedness. Be careful, if you used property to secure a debt and the lender takes all or part of the property to satisfy the debt, the transaction can be treated as a sale which could make you have a taxable gain. Be sure to speak to a professional tax advisor before making any decisions regarding the cancellation of debt. So today has been a rather hectic day around the office since the personal tax extension deadline is tomorrow. Couple that with all the tax changes (i.e. first time home buyers, new auto deductions and more) that will expire in the next month, there are a lot of last minute planning strategies many taxpayers are trying to implement. I did however get to take some time out to read my daily tax and accounting e-mails and the one that caught my attention the most was an article regarding changes that will limit the deductions of many sole proprietors (Sch. C filers). According to the article, there may be some changes in the coming years on the amount of deductions that Sch. C filers and the IRS has a few options how they will do it. Be sure to check out the article and let us know your thoughts. Well back to the tax mines, happy last minute tax filing everyone. The economy may be turning many honest taxpayers into tattle tells according to a recent article I came across. The Tax Relief and Health Care Act of 2006 created the Whistleblower Office and the office has seen a significant upswing in the amount of anonymous tips from law abiding taxpayers of those who shall we say like to live on the wild side of the tax law. Recent changes to the law have increased the payments from 15% to 30% maximum and the increase is certainly making taxpayers feel compelled to tell on those who want to evade taxes. The only problems with the new Whistleblower system is the time it takes for a claim to be processed and protection for employees who turn in their employers for evading taxes. All in all the systems appears to be a new option for many taxpayers to find additional money in this tough economy. There were two events that happened this past week that are really the driving force behind this blog post, one is the introduction of Intuit’s newest QuickBooks 2010 offering. The marketing e-mails that I have received have promised that the QB2010 version is the best yet and it will save accountants more time when working with their clients due to the enhanced features. For small business owners that are interested in how QB2010 will make them work faster and smarter be sure to take a look at this web review of the product. At the end of the review there is also a way for QB2009 purchasers who bought their software 60 days before the QB2010 release to upgrade their product to the newer version for free. A free webinar (for my CPE credits) is the other driving force that provided me with a viable option and a new (possibly better) way of performing accounting functions for clients, that allows accountants and small businesses both to work collaboratively. The webinar was titled “How to Transform Your Client Accounting Services Practice through Cloud Computing and On-Demand Accounting” and it explained how accountants and small business owners can use online accounting services instead of boxed software that would allow each to work virtually anywhere, have instant access to current numbers, and the piece of mind that the data is secure. Although the webinar was geared for accountants, small business owners may gain some insight into how cloud computing/on-demand accounting is different (and maybe better) than boxed software or a hosted box software solution. So as a small business owner which strategy fits your business model? Feel free to post your comments.